Hey loves! 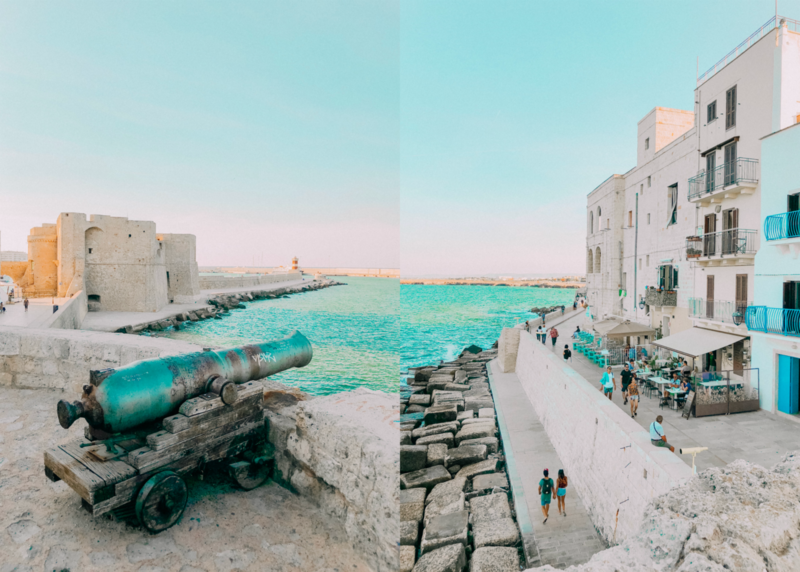 I’m back with part 2 of my Puglia travel diary! 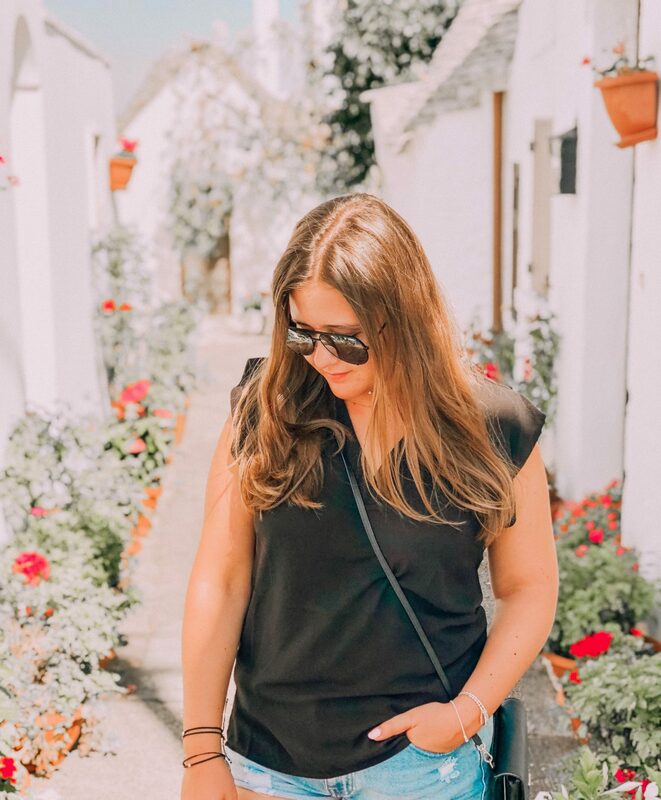 If you didn’t catch the first part, definitely check it out before reading today’s post. 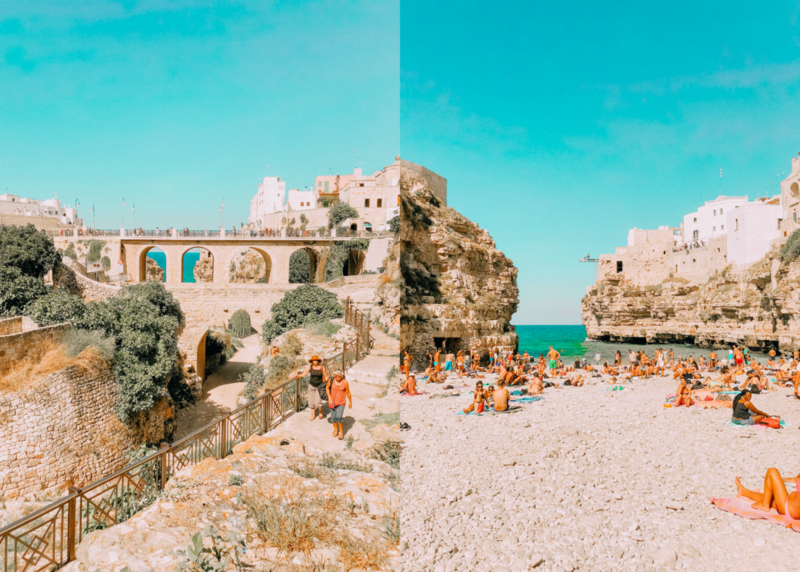 I decided to split this travel diary up into two parts, because to be honest I took way too many pictures and I had such a hard time narrowing it down. 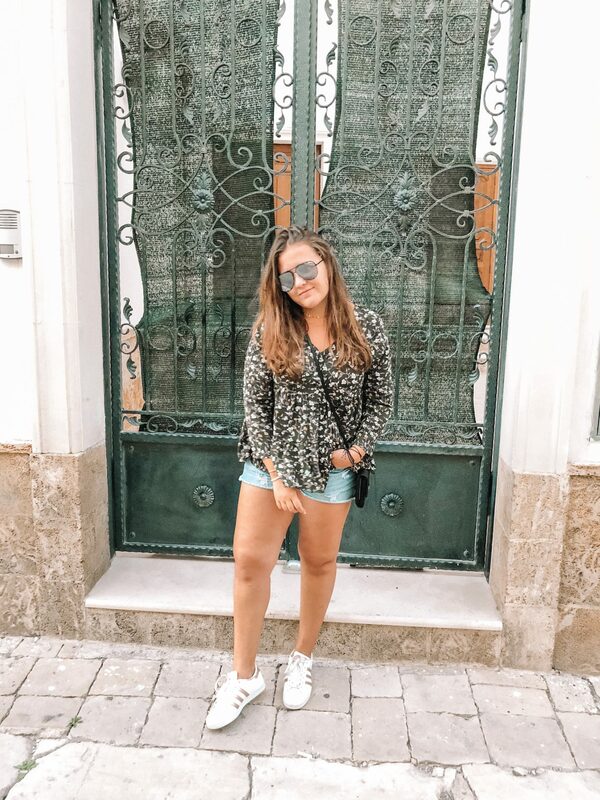 I’m still posting a few of my Italy pics on my Instagram as we speak, because there’s just so many of them! 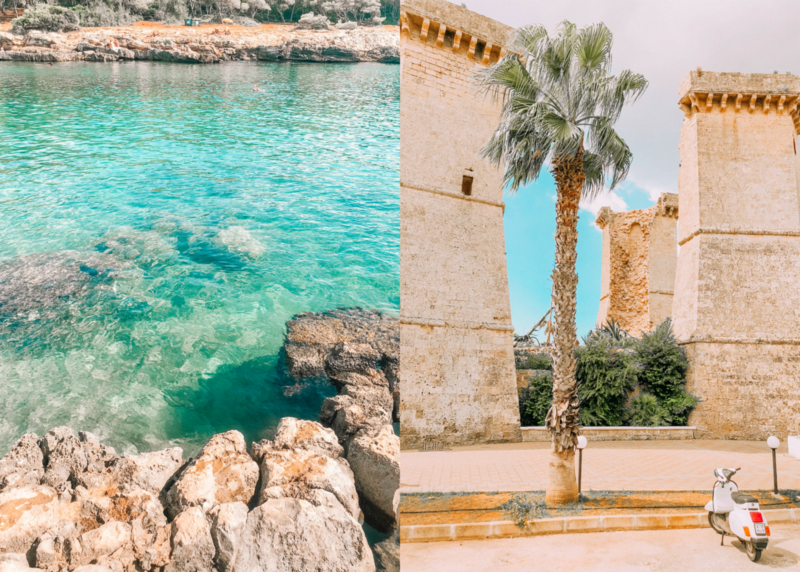 In this second (and last) part, I’m telling you all about the last five days we spent in Puglia and again, the route we took. After we visited Gallipoli (which is where we ended the previous part), we drove up the coast even further where we made a few stops here and there. We actually stumbled upon a beautiful creek, where we decided to sunbath for a while and go for a swim. 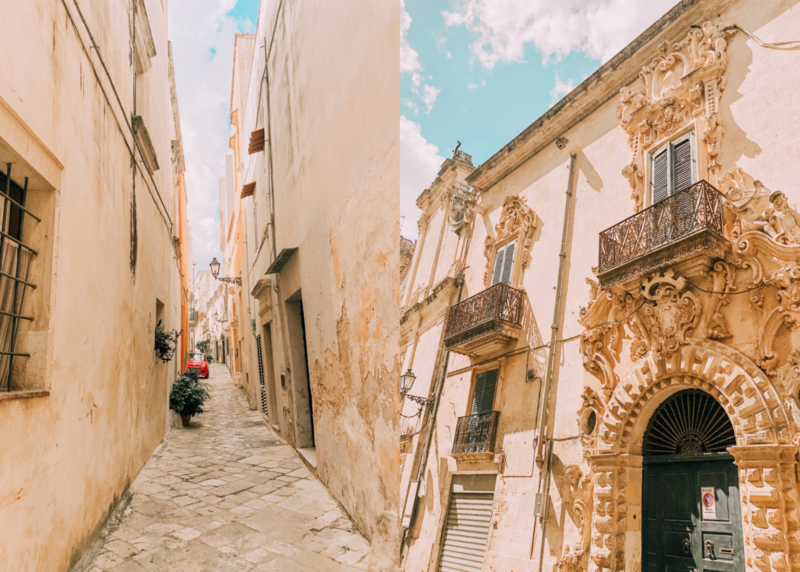 Later that day we made our way to Nardo, which was such a typical little Italian town. 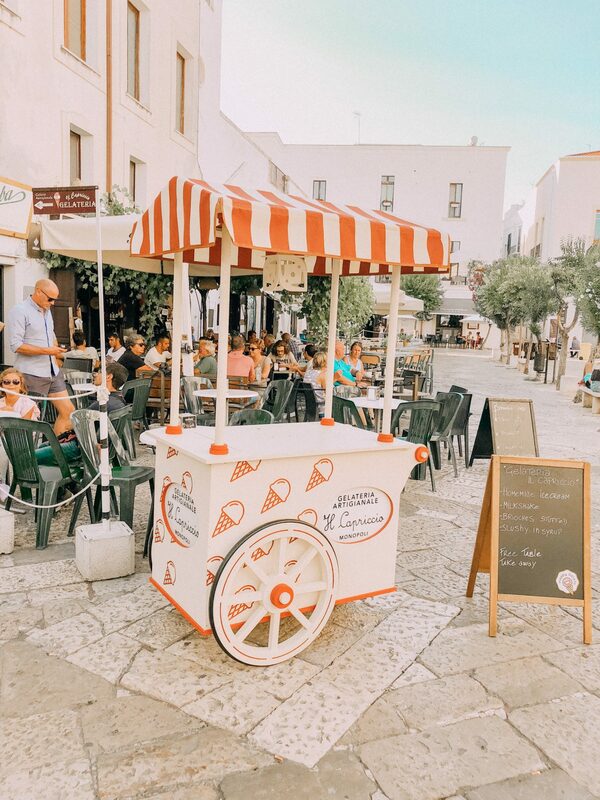 Italians were sitting outside on their chairs, talking and talking, there were barely any tourists,… It was just pure heaven! For dinner, we went to a restaurant called L’inferno which was recommended to us by some locals. It was hands-down a-m-a-z-i-n-g! The only downside was that our B&B in Nardo wasn’t the best ever. The lady running it wasn’t the friendliest and the rooms were very different from what they looked like in the pictures. 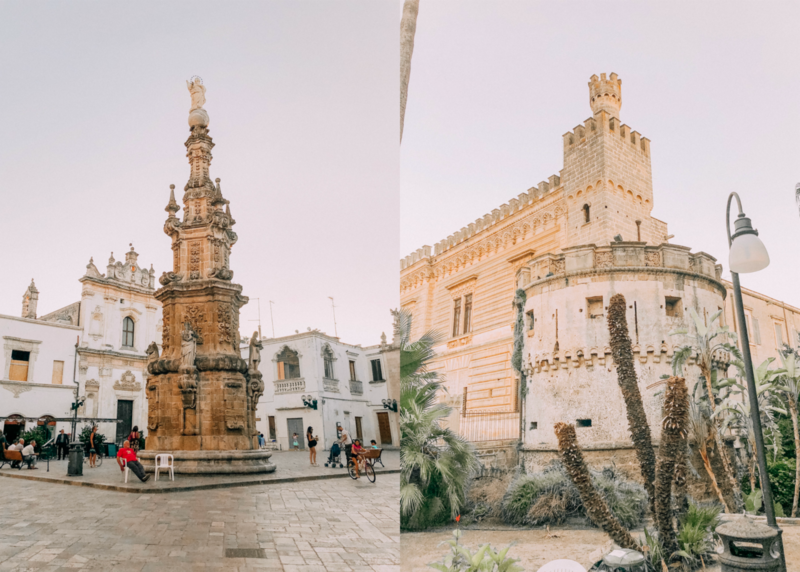 After we checked out of that B&B, we drove to a town called Galatina, which is a super cute authentic town. 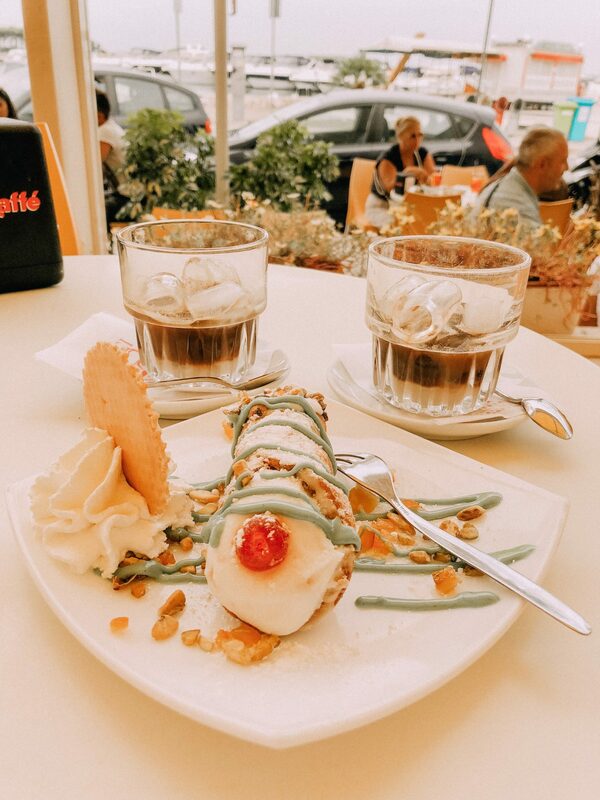 In Galatina, we stumbled upon a Pasticceria called Andrea Ascalone which has been making delicious pastries since 1740!! 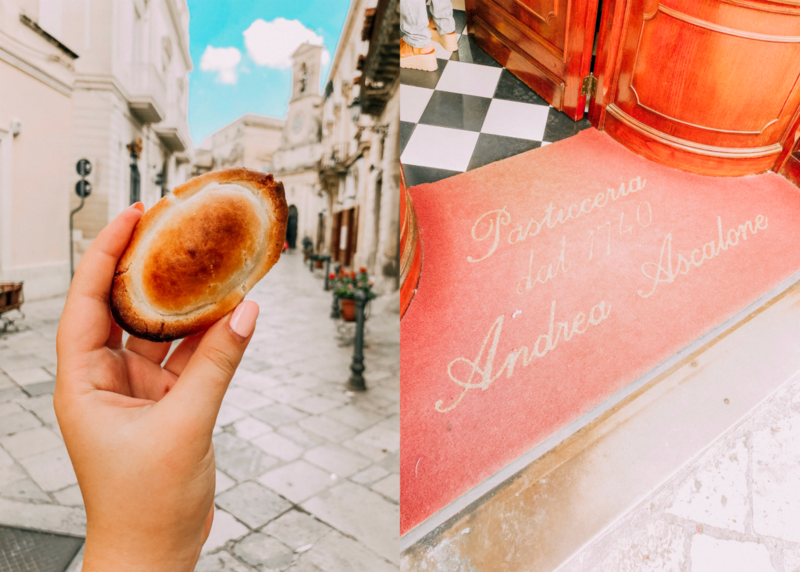 They made the best Pasticciotto I ever tried during this entire trip. I also tried one of their Rustico pastries, which is a salty snack with cheese and it’s freakin’ delicious! 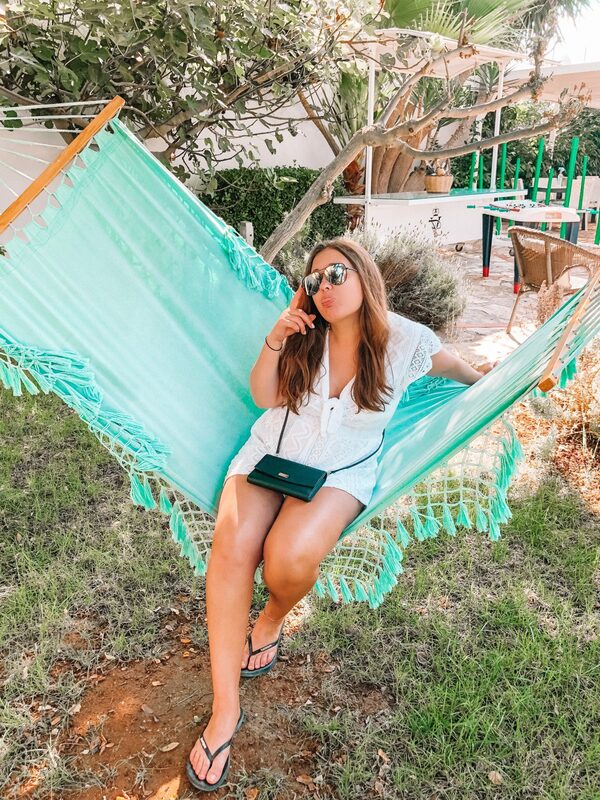 Later that day we checked into our new hotel (it’s actually called a Masseria), where we ended up staying for three nights. 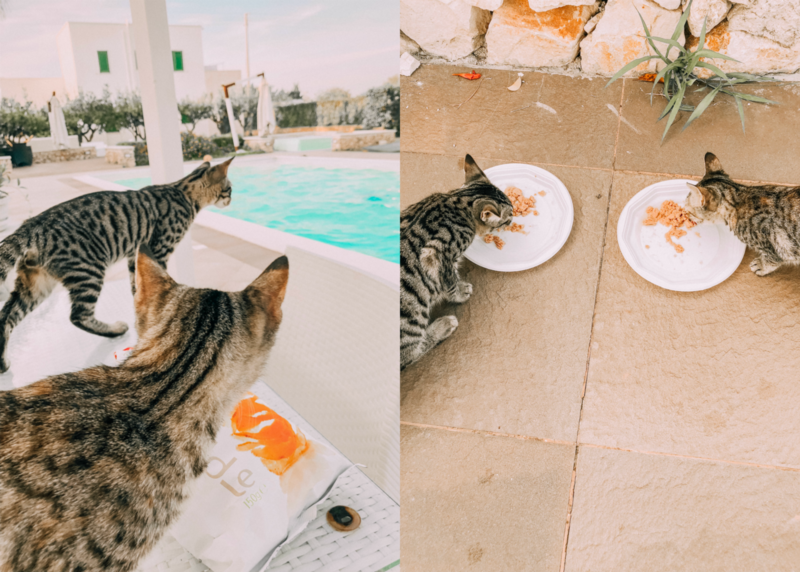 Once we got there, we relaxed by the pool where we were surprised by two kittens. Out of nowhere, they came out of the bushes and immediately came to us for cuddles. Later we actually found out they were a little brother-sister duo. Honestly, they were the sweetest little cats ever!! They never left my side the entire afternoon. I decided to call them Pablo & Francesca, two typical Italian names that I had heard a lot during this trip. For dinner we decided to go into the little town of Novoli, where we discovered one of our favorite restaurants, Nenè. 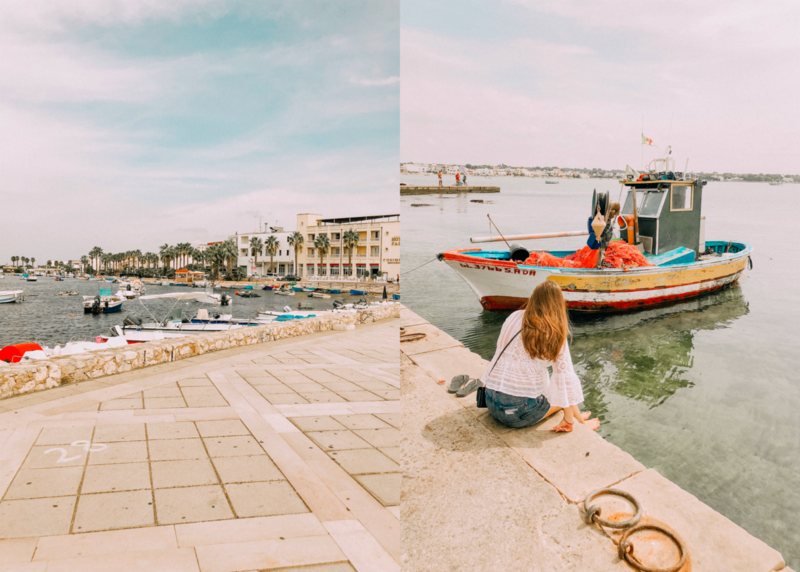 The next day we got into our car bright & early and went to Porto Cesareo, a little harbor close to where we were staying. We walked around a bit and decided to go look for a beach to relax in the afternoon. 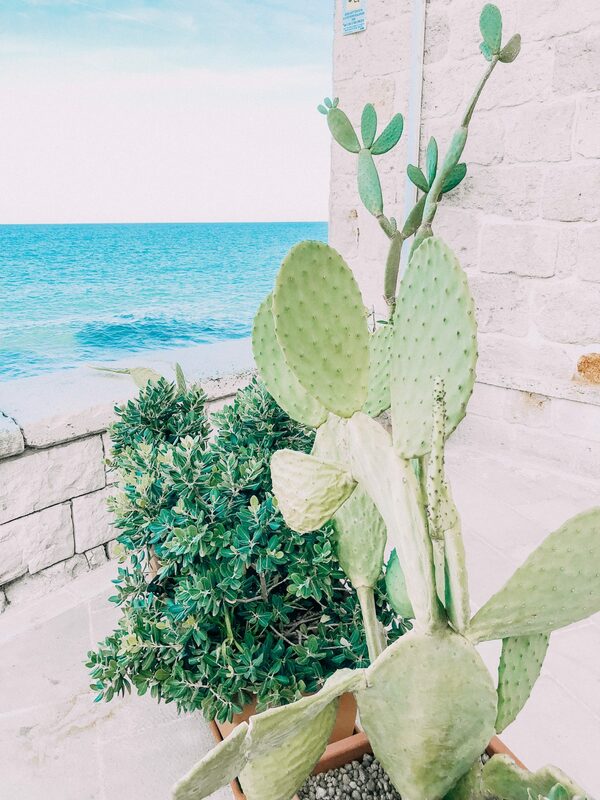 That’s when we stumbled upon Punta Prosciutto. 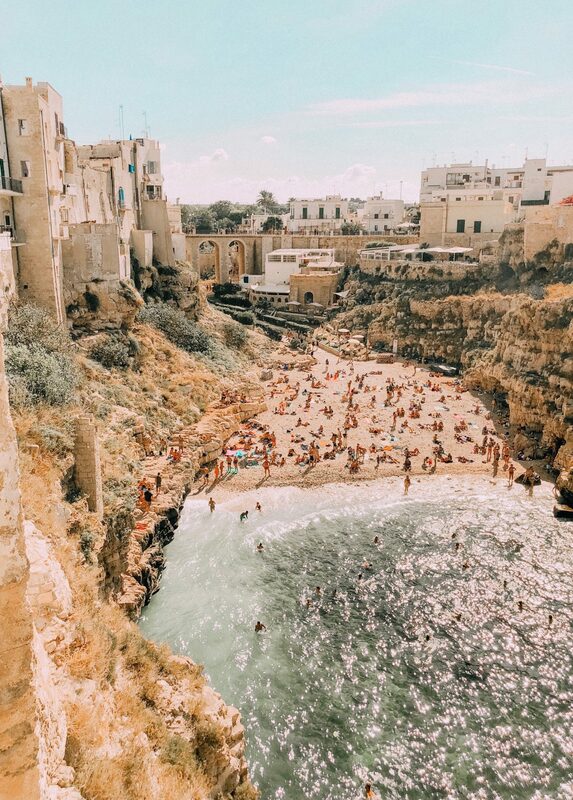 This part of Italy is actually also known as the ‘Italian Maldives’ and for good reason! I’ve been to a few tropical places already, but I’ve never seen water so clear and blue in my life. 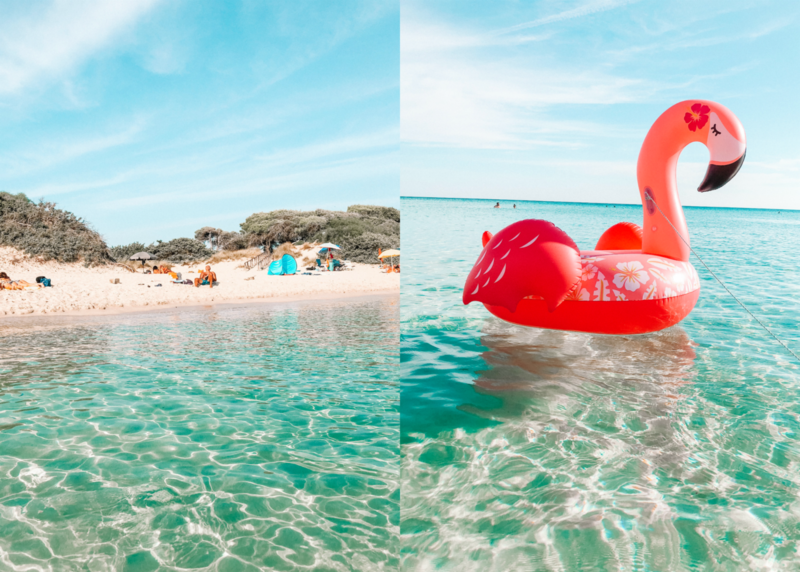 It was such a beautiful beach, we actually decided to go back the next day. 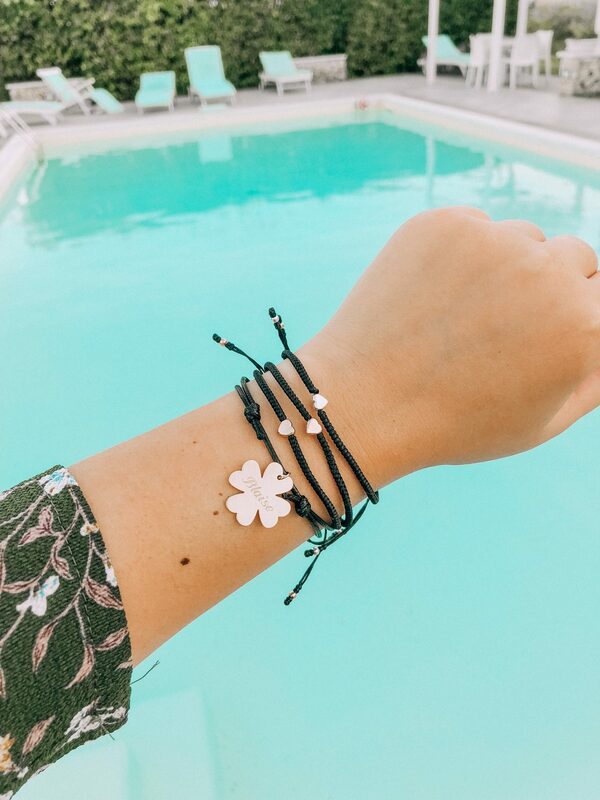 Look at how clear the water looks, so insane and beautiful! We also decided to make a quick stop at the supermarket on our way back to the hotel so we could get some tuna for the kittens. They loved it!! 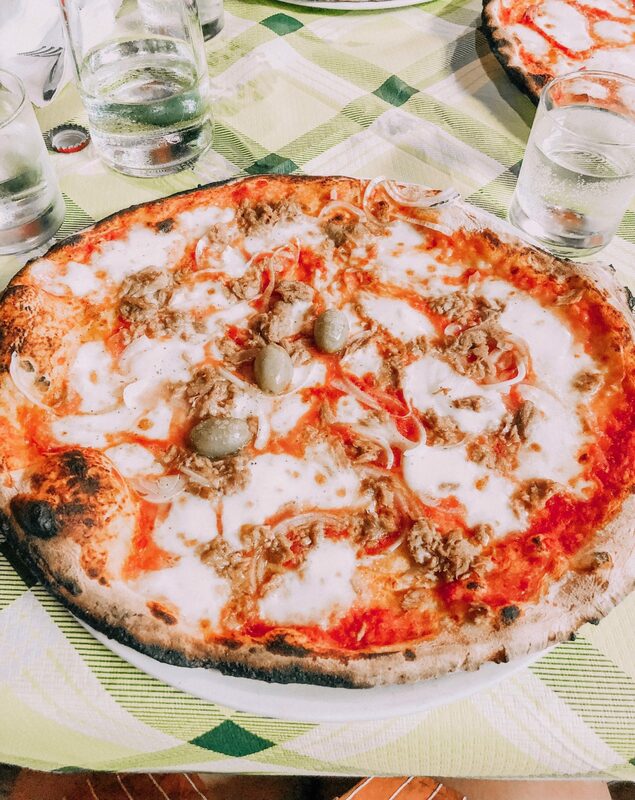 On our last night in Novoli we went to a local pizzeria and wow, those were some delicious pizzas!! Our last full day started off a bit sad as we had to say goodbye to the little kittens, which I grew to love so much the past three days. I definitely miss them! 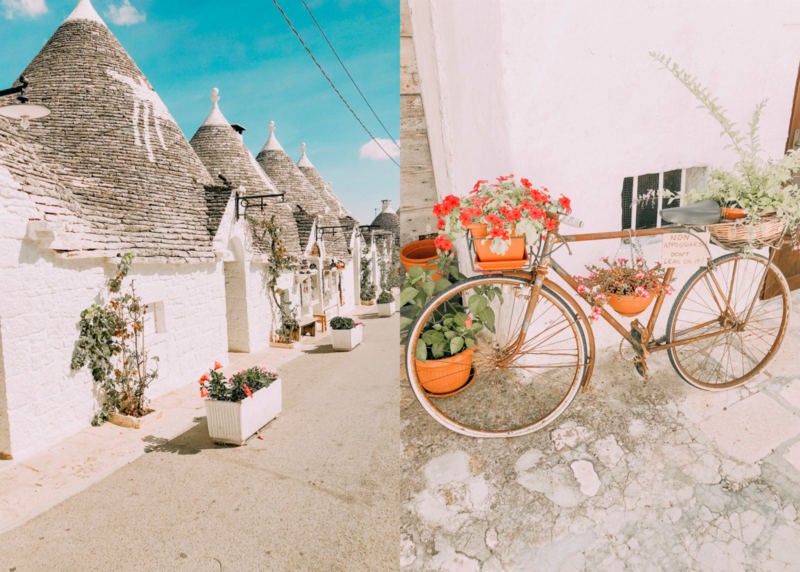 But anyways, after we had breakfast, we checked out of our hotel and made our way to Alberobello which is a Unesco world heritage site thanks to its beautiful trulli’s. 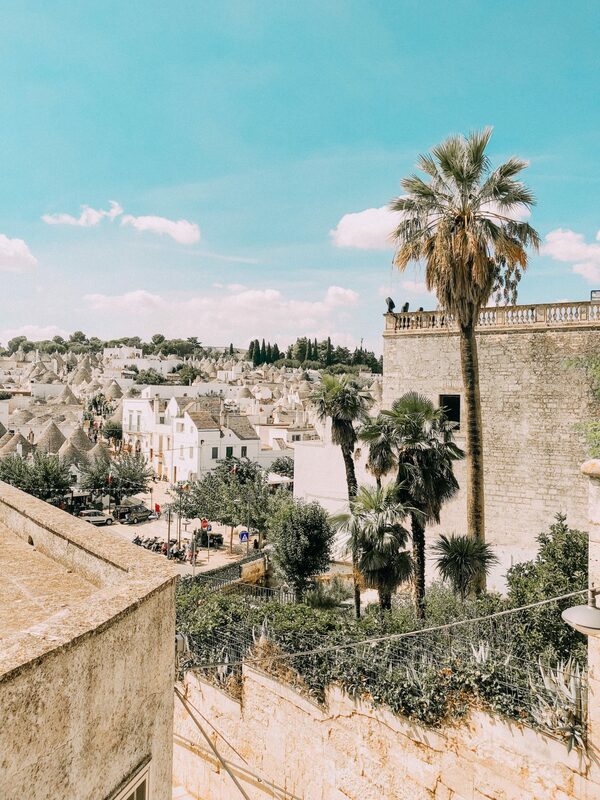 If you didn’t know, trulli’s are small cone-roofed houses and Alberobello is full of them! 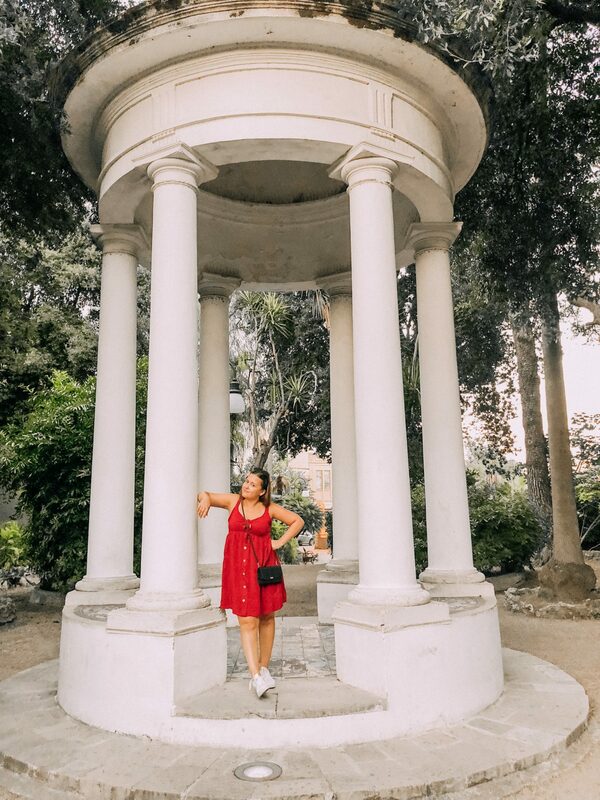 This was definitely the most touristy place we visited during our trip, but it was also so worth it! They were already preparing for Fall, so of course I had to take a few pictures of the pumpkins! 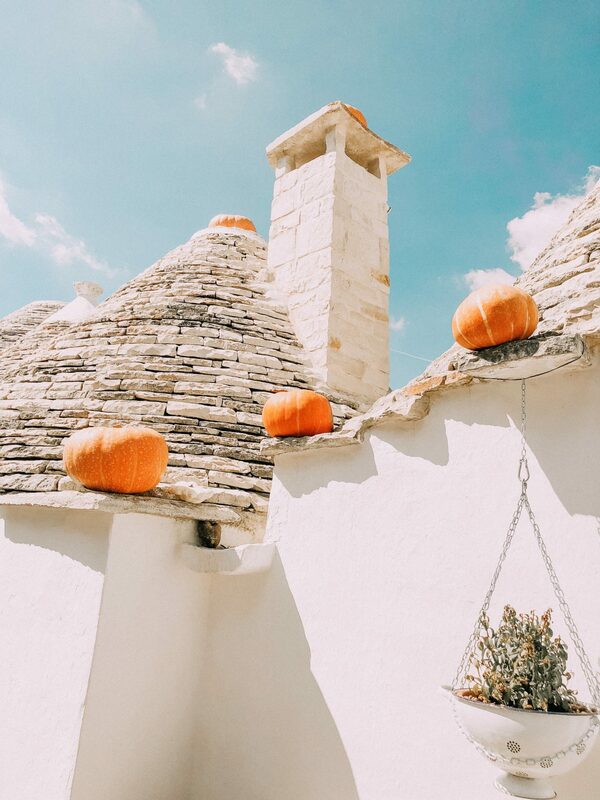 I mean, how often do you come across trulli’s with pumpkins on them? Not often! 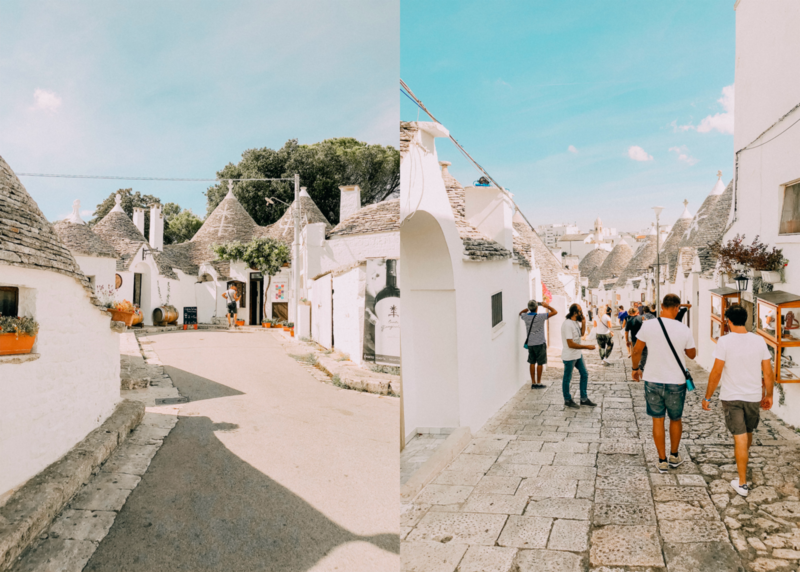 After visiting Alberobello we drove up north, where we checked into our last hotel of this trip which was closer to the airport. 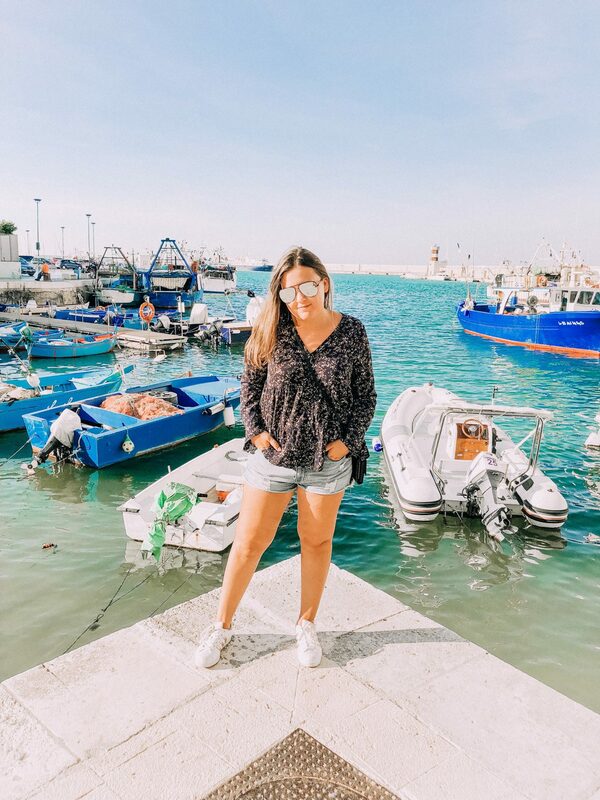 Since we had an early flight the next day, we wanted to be a little bit closer to Bari, which is where the airport is located. 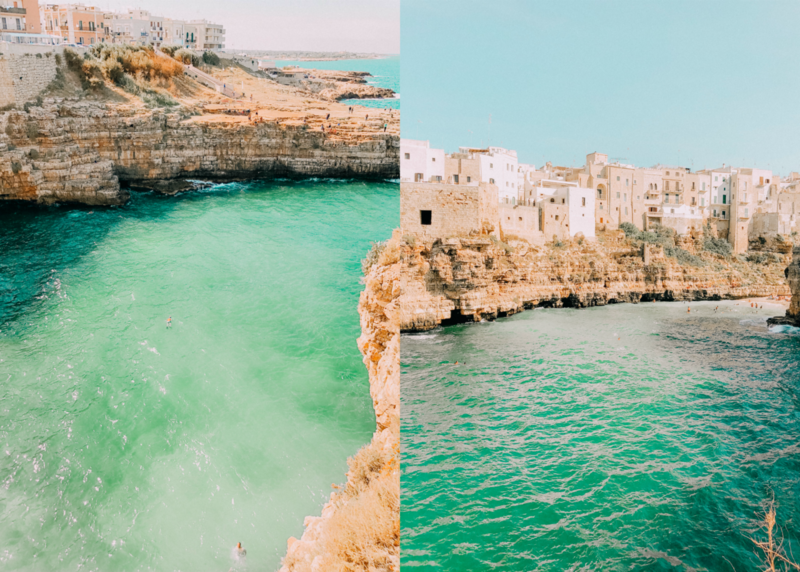 Once we checked into our new hotel, we had two more towns on our list we wanted to visit, so we drove up to the first one, Polignano A Mare (also know as the Pearl of the Adriatic). I’m so glad we still made the time to visit this town because it’s definitely worth it! I think this was my favorite city we visited actually. This town is located right at the beach wit crystal blue water and cliffs everywhere! 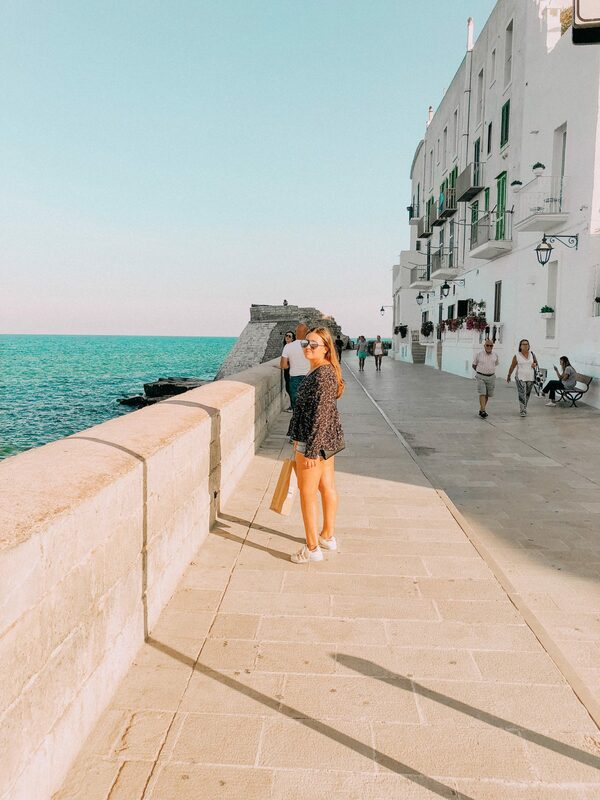 Our last stop of the day was Monopoli, which is actually super close to Polignano a Mare. This town had a really cute harbor as it used to be an important port town back in the day. Nowadays there are still a ton of fishing boats, but it’s not as busy anymore. 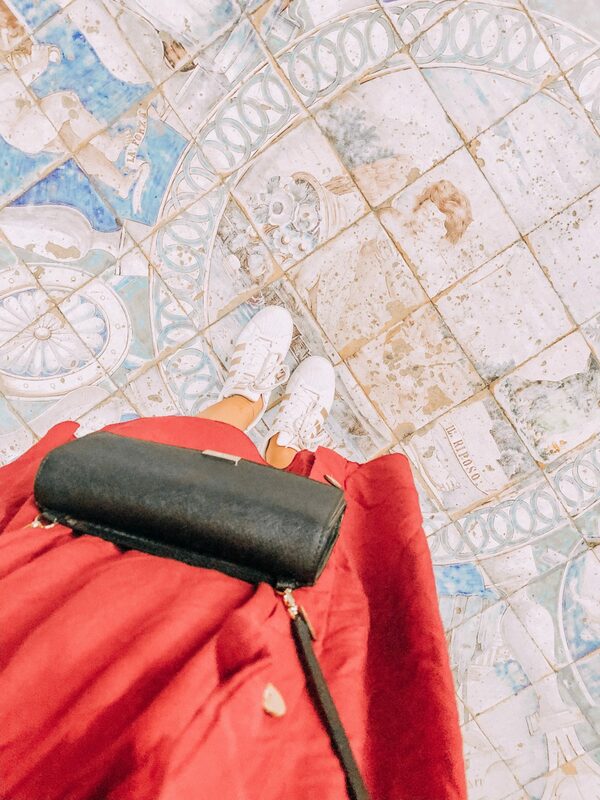 The historic town is so charming with cute little streets everywhere you look! 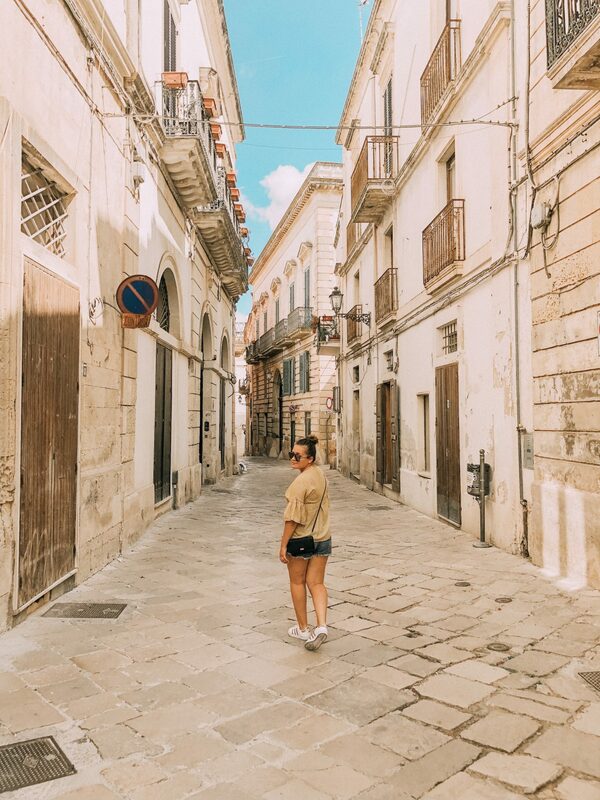 Now that I look back and reflect on this vacation, I can honestly say Puglia is one of my favorite regions I’ve visited in Italy so far! 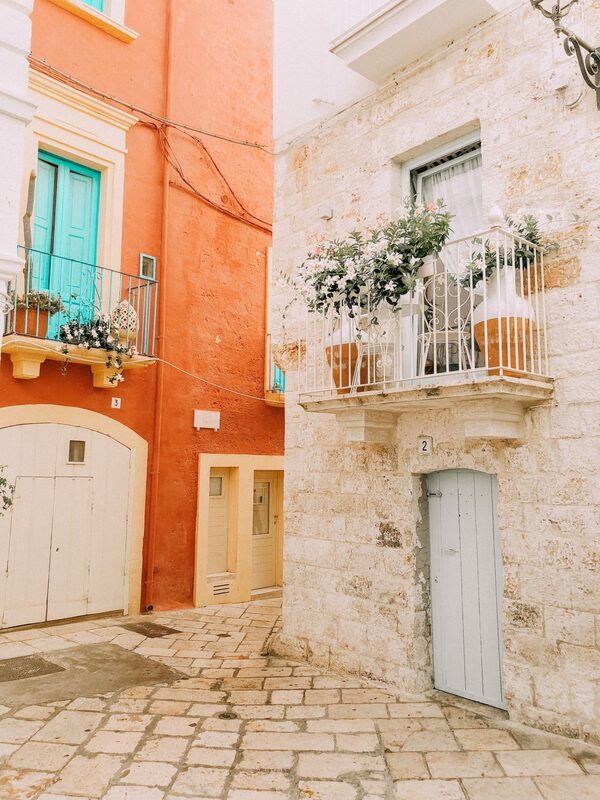 I love Italy in general, but Puglia is just so breathtakingly beautiful and I wish I could go back. I definitely plan on going back as soon as I can! 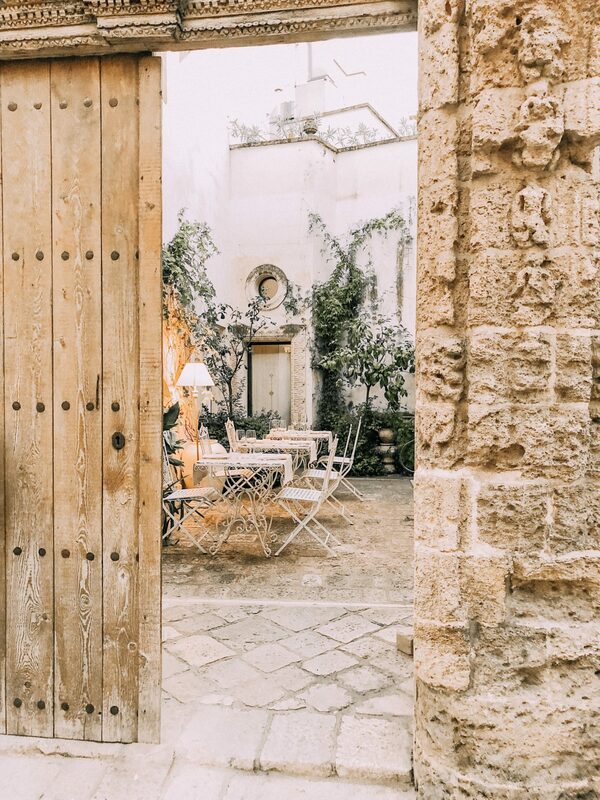 Have you been to Puglia? Previous Post Testing New Action Max & More Makeup | Nothing Over €1,50!! Next Post Huge Colourpop Haul + How To Ship To Europe Avoiding Customs!